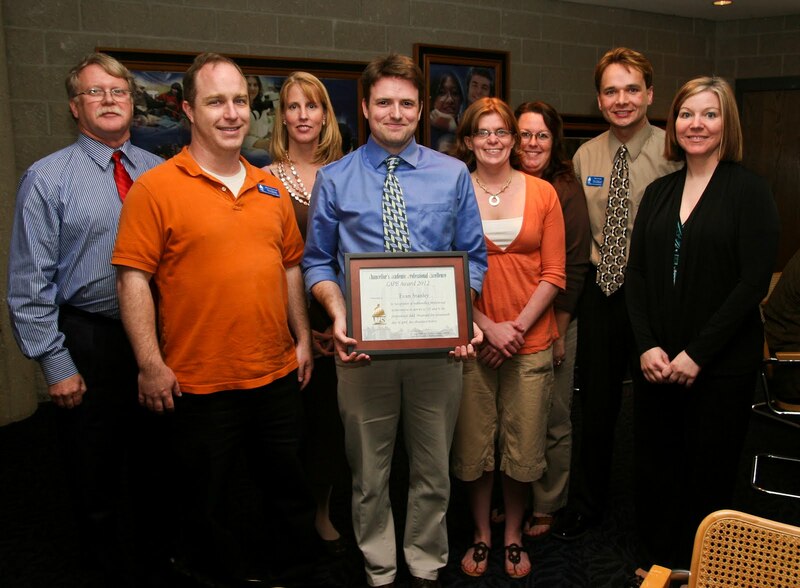 Evan Stanley, student enrollment coordinator in the Office of Records and Registration, was honored with the ninth annual Chancellor's Academic Professional Excellence Award (CAPE) on April 19, 2011. Stanley has worked at UIS in the Office of Records and Registration since 2005. He began as a student worker and later became the student enrollment coordinator. It was also added that Stanley is assisting in a thorough assessment of the Records and Registration website so that better service is provided. Others nominated for the 2012 CAPE Award include Dana Atwell, Clarice Ford, Beth Hoag, Jim Korte, Tulio Lloso, Chrisa Potthast-Leezer, Donna Schaub, Richard Schuldt, Barbara Selvaggio, Evan Stanley, and Thomas Wood.